Nablus. Palestinian Territories. 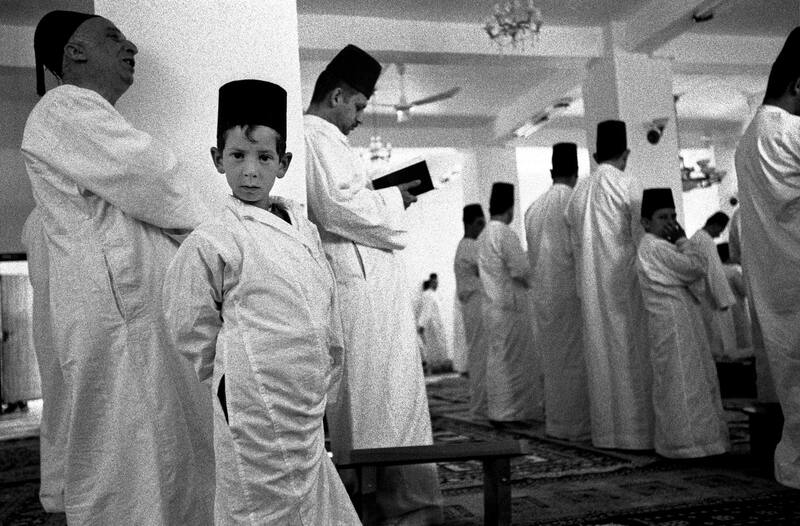 2004 Samaritans worship in their synagogue on Mount Gerizim, above Nablus. 600 Samaritans live here and have done so for 2500 years. The mountain is considered holy by Jews and Samaritans.